Quote me $80 to $125 and I ended up paying over $300 for the exact same thing you quoted me for. Door shakes and makes a horrible noise now. I spent $2100 with your company two days ago. More specifically, I spent $1200 on two Liftmaster 8550s with installation in my garage ($600 each). I also spent an additional $900 on various fixes that I was told that I needed in my garage. I found the exact same Liftmaster 8550 service with installation for $384 each. I was told that your price was the best around town. I am requesting your price match guarantee as you have advertised on your website. I feel like I have been completely taken advantage of because I was overcharged $416 between the two garage door openers. Now, that I found that huge price discrepancy, I’m also wondering if I actually needed those additional $900 in fixes or if I was taken advantage of in that regard also. I am so upset about this situation. Please contact me as soon as possible. I am sorry for the delay in responding to you. Please accept my apologizes. Your invoice clearly states that you were charged $550 per operator, not $600. We emailed you a copy of the invoice. Our price match we offer on the website is for a written quotation from a competitor for like product, and presented at time of service. What you provided after the work was completed was first an Amazon coupon for only part of the opener in question. (it did not include a rail or a battery), and then a coupon for a discount off of a price. When we called the company on the coupon, we were told the best price they offered for this product with the coupon is $525. After pushing them, we did get them down to $500 each. Again, this is for a promotion they are currently running. As a measure of good faith, we have refunded your card today and matched the $500 price AFTER THE FACT. We strive to give total customer satisfaction when possible, based on fairness and equity, which we believe is demonstrated by over 5000 reviews across many different review platforms.with a 4.8 star average It is my opinion we do deserve a one star review for not getting back to you in a timely fashion which I assure you has been dealt with internally, but certainly not for our pricing or the technicians service. Not only am I dissatisfied with the repair service I received from Precision Door, I’m extremely dissatisfied with their lack of response to my concerns. When I called to complain, the same tech who serviced my door called me back. When I asked for his managers phone number he refused to give it to me but said he would have him call me back, but he never did. I then sent an email to the person who mailed me my invoice and they never replied. I then sent email to their main email address but still never received a reply. Now, I will take my complaint to the Better Business Bureau. That's great - thank you for taking time to share your experience. Thanks so much for your technicians like Chase Dasilva. Very pleasant, courteous, knowledgable and professional. Got my garage door working again in a very few minutes. We're sorry your doors are still loud. I went over the invoice and found that he did indeed honor the Angies List price for all 3 doors. We would be more than willing to come back out and determine why it is that your doors are still loud. Changing out the rollers may not have been your only issue. Please call at your earliest convenience and we will be more than happy to return. Thanks! No one from your business has contacted me to correct the fact that you did not provide the total service we paid for. Again, our purchase through Angie's list included a tune up and roller replacement and our roller was NOT replaced during the service call. Your technician was very professional and courteous but we have no plans to ever use your company again unless you remedy your oversight. We are sorry for the confusion on your Angie's List Coupon. I have tried to reach out to you to resolve this and couldn't reach you. Please feel free to call so that we can go back out to your property and install new rollers. This is the worst company ever. I will never use this company again. I have had the repairman out two different times to fix the gap between the rubber and cement flooring. The last repairman walked into the garage and immediately said there was nothing that he can do and referred me to Home Depot. After he left, I took facial tissue and resolve the issue with the rubber. It needed some type of foam to prevent the gap. I called him back and told him. He came back 30 minutes later to add foam. I paid almost $500.00 and received horrible service. I'm pleased that we could resolve the issue and make you happy. Pleas feel free to call if you need any other service in the future. Quick service - works well. Deceptive pricing. Will not use again. Felt trapped into using them. We are very sorry you did not have a good experience. I took the liberty of listening to the taped call when you scheduled the appointment and heard the representative state that the spring prices range from $88-179 per spring. You were given a price of $139.50 per spring. For that particular spring, the normal price would have been $179.00 which is a savings of $39.50 per spring, there were 2. It is always been our practice to give our customers options when repair work is needed which includes to do nothing at all. It appears you chose the repair option. If you have any more questions or concerns in regard to the repairs, please feel free to call our office. It is our practice to always present our customers with a written proposal of any repairs prior to any work being done. We are assuming that you were aware of the price before agreeing to have the work completed. After reviewing your invoice, I see that a lock assembly was installed. It appears the technician charge you minimum pricing on that particular part as well as waived the service fee which was a $59.00 value. As far as pricing on openers, the opener you were quoted was a Liftmaster Jackshaft opener which is not available at any big box store. The opener you are referring to at Home Depot did not include installation which is typically $129.00 and up. 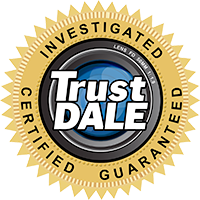 Also the Liftmaster brand carries a much better warranty and constructed to give a much longer life. I'm sorry that you did not have a good experience with us but we feel our price was competitive and justified. Ordered new garage doors on Wednesday and was told that Tim would call me today to schedule installation, but I did not get a call. Not off to a great start. We are sorry for the for the miscommunication in getting your doors scheduled as the office was closed the Friday after Thanksgiving. Hopefully, from this point forward we can do everything in our power to earn a 5 star worthy review from you once your garage doors are installed. We are very sorry for any misunderstanding, and appreciate your feedback. Unfortunately the technician gave me no confidence in the company. He was great at keeping informed as to his arrival for an estimate but once arriving at the house spent less than 5 minutes reviewing the job, brought no samples of products for me to look at, did not give me warranty information or any positive company info and did not tell me that they would only install a door, I had to find someone to frame in. I had to call back to get a quote and to find out about what work they could not do. Disappointed. He knew before coming out to the house what I wanted done, he should have been upfront and not waste my time. First the positive. When the service technician said they would arrive at my house, they did it on time and i was called to advise he was on his way. The negative, I was quoted $620 to replace the springs for my garage door. That was outlandish! I replaced it for less than $300 and everyone else I called after the Precision visit was around that price range. I felt I was quoted such a high price because I live in a nice neighborhood. When I chose not to have the work done, the tech attempted to charge a $50 service fee, but I was told on the phone no service fee would apply. Technician did provide an estimate, an did not charge me a service after all. Pricing needs to be fair. i would not recommend Precision to anyone. Mr. Wild I am confused by your review and feel you gave this review to the wrong company. Our records show (recorded for both of our protection) that you booked your call on October 3 requesting October 5th appointment. You were never moved, cancelled, or otherwise inconvenienced. Our technician was on time which was verified by the gps tracker in his truck. When you called our office you stated a gentleman named xxxxxx gave you a price of $129 to replace the belt on your unit. We have never had anyone by that name work for us. Our staff quickly informed you that was not one of our prices that was quoted. We strive to give excellent service and fair market prices. Our staff is covered by a very large general liability policy and workman's compensation. Some of the "tailgaters" in a pick up truck have neither. Regardless, by separate email I have provided you my cell phone number to call me directly to discuss this matter. Again, when we make a mistake, which will happen, I will go above and beyond to make it right for our customer. I hope when you are spreading the news to your friends that it is about the right company. As you can see, EVERY REVIEW gets posted to our website.